Alfred Burke, who died a few days ago, was a very good actor whom I remember with affection and admiration for one particular role. Over the course of about a decade, he played the part of Frank Marker, the down at heel gumshoe in the long-running ITV series Public Eye. Public Eye began in the 1960s and I didn't start watching it for quite some time. However, my father was a fan of the show, and one night I watched an episode – after which I was hooked. And I think it is widely agreed that the show reached its peak in the early 1970s. There was a downbeat realism about the series that set it apart from the competition. The scripts were good, but Alfred Burke's performance was special. Frank Marker was a decent man with a moral code, even though he had a spell in prison. The series when he came out of jail and tried to start again in Brighton was very good indeed. The cases that he investigated were far less dramatic than the adventures of people like "The Champions" or "The Persuaders", but far more believable. Like most good detective series, Public Eye benefited from a haunting theme tune (there are various versions of it on YouTube) and it is scandalous that, apparently, some of the early programmes have been lost. I would rather have liked to have caught up with them at some point. But above all, I remember Public Eye for Alfred Burke, and I'm sure that plenty of people of similar vintage to me will share my appreciation of his splendid interpretation of the part of marker, who really did become a three-dimensional character. Tomorrow, alas, another obituary - this time of a crime writing friend. Shot at Dawn, first published in 1934, is a whodunit by John Rhode (real name, Major Cecil Street) and features Rhodes’ regular amateur sleuth, Dr Priestley, who is the original grumpy old man, attended by a secretary called Harold Merefield, who helps him to deliver solutions to murder cases to Scotland Yard’s Superintendent Hanslet. This case concerns a man whose body is found sprawled on his motor cruiser, which has anchored in the River Ridding. Who shot him, and why? His fellow sailor appears to have been in a drunken stupor when the crime was committed. But has he got something to hide? After a pleasing start, the story gets bogged down in a lot of stuff about tides, and at one point Dr Priestley even commands the hapless Harold to draw a graph to cast some light on the mystery! The graph is duly reproduced, and provides a clue to the solution, but suffice to say that this method of investigation is less than exciting. Happily, there is a very good solution to the puzzle that redeems the story. A weakness, though, is that the precise, as opposed to generic, motive remains unclear. Rhode was more interested in the velocity of motor cruisers than in a criminal’s psychological motivation. Unlike me. I blogged a couple of years back about a Victorian murder mystery event I held at Newcastle's marvellous Lit and Phil - to which I was introduced by Ann Cleeves, who came along that day for lunch with me and my family as well as to the show. So I was naturally very glad to include a guest blog from Ann about the Lit and Phil. Here it is. I first visited the Lit and Phil library in Newcastle to meet a writer friend on our way to the pub. The idea of a private subscription library had never really appealed to me: libraries should be available to everyone, not just those who can afford membership. I’d imagined it would be full of elderly academics or wealthy eccentrics. But my friend writes horror, crime and fantasy, and while he might be considered eccentric like most writers he isn’t wealthy. On that first visit I became seduced by the place. I’ve been a member ever since. The building was completed in 1825 and is certainly impressive. There are busts and oil paintings, a first edition King James Bible in a case, glass domes, a spiral staircase and a balcony. These might be intimidating but the welcome from the staff, the tea bar and the buzz of conversation around the big oval table made me feel immediately that I was among friends. This is a place of music and comedy as well as serious discussion. One of the most popular events is the telling of new ghost stories after Christmas. The books on the shelves made me feel at home too. Of course there are reference texts and literary works, but the bulk of the titles on the shelves in the main lending library are detective novels! Some books are long out of print and would have been weeded from a public library years ago. There are rows of yellow Gollancz jackets, Collins Crime Club titles and stories that I remember from library visits of my childhood. And next to them there are the best contemporary crime writers. This is a serious place where genre fiction is taken seriously. The Literary and Philosophical Society was founded as a ‘conversation club’ and from the beginning it had an inquisitive and liberal nature. Women members were admitted almost from the start. George Stephenson demonstrated his miners’ safety lamp there and the society’s lecture room was the first public room to be lit by electricity during a lecture by Sir Joseph Swan. John James Audubon, the famous American ornithologist, visited the library and was made an honorary member. One of my favourite detective novelists, Dorothy Sayers, was a visiting speaker. This is still a place where poets, scientists, working people and historians meet, talk and listen. It’s still a conversation club. Later in the week I’ll be launching my new Vera Stanhope book SILENT VOICES there. A folk band from rural Northumberland will set the scene, there’ll be wine and readings and a sneak preview of the ITV adaptation. Other February events included a lecture on Garibaldi, a film screening from the Northern Region Film and TV Archive, an illustrated lecture called ‘The Vampire Rabbit and its Kin’ (wish I’d been at that one! ), a small press poetry launch, an evening of jazz and a conversation between Val McDermid and Chaz Brenchley. And also the launch of an appeal. Because although this institution is lively and thriving, the buildings are crumbling and we need to make its treasures more accessible. Writers' groups up and down the country provide their members with valuable and much-needed support and encouragement, but they often do a good deal more than that. I was reminded of this recently when I was invited to talk to a group of writers based in Oldham in the delightful setting of the Saddleworth Museum at Uppermill, a charming place on the edge of the Moors which boasts not one but two second-hand bookshops. I enjoyed the event a good deal, and the allotted two hours simply sped by. There were plenty of questions, and it is always gratifying to see the enthusiasm of members of groups like this. Before I had my first novel published, I was for quite a few years a member of a writers' group in the Wirral, and I found the regular meetings a source of genuine encouragement. The only reason I left the group was because I left the area. I was pleased to be given a copy of Shadows, a book which the group put together recently under the name of 'Oldham Writing Cafe', and which is quite a bargain at the price of £4.50. It contains a number of pieces written in various styles by various hands, often drawing on memories of local people about their community. Certainly, it is well worth a read. The publication of the book was funded by a grant from the local authority – money well spent, in my opinion. Inevitably, there is bound to be concern that similar projects in the future will be denied funding because of cutbacks in public expenditure. One can only hope that decision-makers will recognise that, despite the need for savings, local communities do need to be supported and cohesive and that worthwhile projects of this kind deserve to be backed. Tomorrow - a guest blog post from Ann Cleeves about another most worthwhile institution. Michael Caine is superb in Harry Brown, cast in the title role as an elderly ex-Marine who lives on a grim urban estate where vicious thugs terrorise young and old alike. When Harry’s mate, who has been targeted by the bad guys, is murdered, Harry decides that something must be done. It would be a mistake, I think, to see this film as a modern version of the Charles Bronson movie of the 70s, Death Wish. Both are about vigilantes, but Harry Brown is a superior piece of work, cleverly written and filmed and brilliantly acted. Caine has, surely, seldom been better, and the pathos he brings to the role of Harry is memorable. The tensions within the police force are cleverly drawn, with Emily Mortimer good as a sensitive DI who suspects Harry of going to war against those responsible for the death of his friend. This is a dark and violent film, which won’t appeal to everyone. Some might say it glorifies vigilantism, but I don’t think that is either the intention or the effect. It’s a much more personal type of film, more about the character of the man than what he actually does. And there’s quite a bit of irony in the script, too. A very good movie, in my opinion. The name of Anthony Gilbert is not often mentioned in the blogosphere, but in her day she (yes! Gilbert was a pseudonym for Lucy Malleson) was a prolific and successful crime writer, most famous for her books featuring Arthur Crook. I read one of them a long time ago, but wasn’t hugely tempted to try another. However, I’ve just read her memoir, Three-A-Penny, published in 1940 under one of her other pen-names, Anne Meredith, and found it very interesting, not least for her take on her initiation into the Detection Club. She was very different from many of her fellow members – the likes of E.C.Bentley, G.D.H.Cole, Ronald Knox and Dorothy L. Sayers were all Oxford-educated. Gilbert was educated in the good old university of life. She writes well of her early life, and the financial hardship her family suffered. She left school and became a shorthand typist, but with a burning ambition to write. And before long, she succeeded. Her early crime novels were nothing special, but adopting the Gilbert name transformed her fortunes. The merit of this memoir is such that it has tempted me to give her work another try. One person she did not mention in the book, perhaps surprisingly, was her cousin. This was Miles Malleson, the actor, still remembered as the hangman in Kind Hearts and Coronets. Langtail Press is a new kid on the block so far as publishers go. It’s a venture run by James Prichard, and it produces print on demand traditional format books and e-books. What is special about Langtail is the list of titles, which include many ‘forgotten classics’. For instance, there are several titles by Anthony Berkeley, the brilliant plot-twister of the Golden Age and founder of the Detection Club. Other authors on the list so far are three of the great American crime writers – John Dickson Carr, Ellery Queen and Fredric Brown. All of them fascinating novelists, all brilliantly ingenious. I am reading one of them now and will review it before long. Although I found Claude Chabrol’s famous film Le Boucher interesting, having just seen his 1969 movie La Femme Infidele, I certainly found it more absorbing, and even, dare I say it, more substantial. Again, it stars Chabrol’s then wife, Stephane Audran. This time she is married to a wealthy older man, played by Michel Bousquet. They live in the countryside, in an idyllic house with lovely grounds, along with their ten year old son, to whom they are both devoted. However, all is not well with the marriage. The spark seems to have gone. The wife , Helene, is becoming bored, and there is a lack of mutual understanding and empathy. The husband, Charles, begins to suspect that Helene is having an affair, and a private detective confirms his worst fears. Charles does not confront his wife. Rather, he pays a visit to her lover, and a calamitous series of events ensues. This is a film roughly in the Hitchcock tradition, and the attempts to cover up a murder are portrayed vividly. But it is the relationship between Charles and Helene that is the key to the film, and it is conveyed rather subtly, and with a depth that Hitchcock might not have attempted. The final scenes reveal more about the true nature of the relationship than the police work which (by a route which isn’t explained) leads to the identification of the culprit. The performances of the two lead characters are excellent, yet cleverly under-stated, in keeping with the low-key mood of the film. I enjoyed this one, and – as long as you are not looking for a conventional murder mystery – I think you will too. Some time back, I watched – and blogged about- the TV serial State of Play, starring John Simm and David Morrissey, which I rated pretty highly. Now I’ve watched the film version, starring Russell Crowe. Paul Abbott’s story is transferred here to the US and I didn’t expect to like the film as much as the original, but to my surprise, I did. It’s a conspiracy thriller – a maverick journalist gets wind of a plot that involves his old friend Stephen Collins, who is now a rising politician. The fact the journalist fancies Stephen’s wife is a complication, and there are plenty of plot twists. One flaw in the TV version was that the pace sagged in the middle - not so with the film. In the original, Collins plays a greater part than in the film, which tends to focus on Russell Crowe, who does his charismatic slob performance very effectively. The newspaper editor, brilliantly done on TV by Bill Nighy, is done differently but again very well if less quirkily by Helen Mirren. Conspiracy thrillers tend in my opinion to be very hit and miss. But State of Play is definitely a hit. I enjoyed both versions, and can recommend them. I’d never heard of either Winifred Peck or her 1933 novel The Warrielaw Jewel prior to reading a favourable review by Curt Evans on the excellent Mystery File site. Curt has a deeply impressive knowledge of Golden Age fiction and his opinions are always soundly reasoned, so I was keen to seek out the book. Thanks to an excellent book dealer, Jamie Sturgeon, I’ve laid my hands on a copy and read it quickly. Winifred Peck – who was to become Lady Winifred Peck – was a mainstream novelist who occasionally dabbled in crime fiction. She came from a remarkable family. Her niece is the novelist Penelope Fitzgerald, and her brothers also achieved eminence. Ronald Knox was one of them, and he was a major Golden Age writer and founder member of the Detection Club. The main events of The Warrielaw Jewel are set in 1909, and upper class society in Edwardian Edinburgh is well described through the eyes of Betty, an Englishwoman who has recently married a Scottish lawyer. Through him, she gets to know members of the somewhat dysfunctional Warrielaw family, whose prize possession is a ‘fairy jewel’. One or two aspects of the story reminded me of J.J. Connington’s The Dangerfield Talisman, but in this book, unlike Connington’s, murder is done. The plot and prose are well-constructed. However, I felt that they were both rather ponderous, and I found myself longing for a bit of excitement. Even potentially dramatic scenes had a rather soporific feel to them. This book is interesting as an example of a novel written in the midst of the Golden Age that sought to be something more than a puzzle, and really is a study in character and setting. 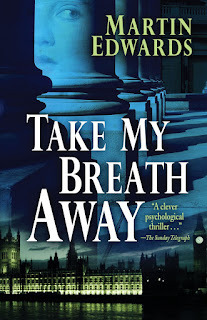 But despite Peck’s literary talents, I say: give me Agatha Christie every time! When I bought Jessica Mann’s A Charitable End from Jamie Sturgeon recently, he told me a story that I never knew before. We were discussing Milward Kennedy, an interesting writer whom I’ve blogged about recently, and he mentioned a libel case in which Kennedy featured. The story is told in a true crime book called The Ordeal of Philip Yale Drew. It’s written by Richard Whittington-Egan, a chap of immense knowledge, whom I’ve never met, but to whom I’ve chatted on the phone several times. He was very helpful indeed when I was writing Dancing for the Hangman, and was kind enough to read and comment on the manuscript. Apparently, a novel that Kennedy wrote featured a thinly disguised version of Drew. The snag was that, though Drew had been suspected of murder, and was grilled at a coroner’s inquest, he was never tried and the case was never solved. Drew sued Kennedy and his publishers, Gollancz, for libel. The case was settled at the last minute before the trial, as often happens. The compensation didn’t do Drew much good, however, as he died only three years later. Kennedy’s barrister was H.C. Leon, who later became well-known as a writer under the name Henry Cecil. This mishap rather messed up Kennedy’s career as a crime writer, or so it would seem. Until the court case, he had been prolific, a rising star of the genre. Afterwards, though he lived for thirty years or more, he only published four more books. A sobering story, to my mind. And a reminder of why it’s a good idea to try not to libel anyone. The trouble is, avoiding accidental libel is by definition rather difficult. 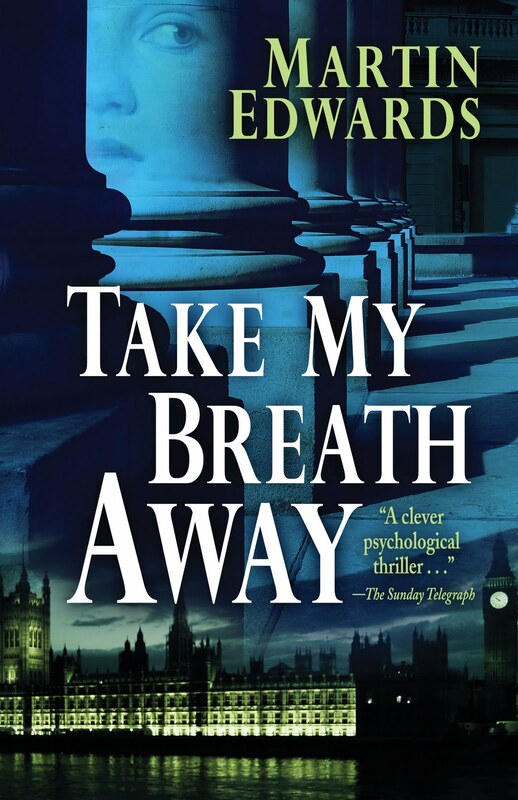 I'm very pleased to confirm that Take My Breath Away, a stand-alone novel of psychological suspense set in London, will be published in the US by Five Star in June. This is a book I'm proud of having written, though its publication in the UK a few years back didn't attract as much attention as I had perhaps naively hoped. Some of those who read it loved it, and there ware no negative reviews, just not very many in all! But Priscilla Masters did feature it in one of her own novels, which really did gratify me. Here is the cover of the ARC, which has just been sent out to reviewers. I will be fascinated to see the reaction to the book in the States. Five Star published my novel about Crippen, Dancing for the Hangman, a couple of years ago, and the response was very pleasing. They have also published the first two Harry Devlins. I owe a debt of thanks here to Ed Gorman, whose support for the book helped me to achieve my ambition of an American edition. Ed is a great friend to many crime writers, not least myself, and I'm truly grateful to him. A Charitable End was Jessica Mann’s first novel, published back in 1971. I was pleased to find a first edition in Jamie Sturgeon’s last catalogue, and couldn’t resist the temptation to snap it up. The novel was a Collins Crime Club title. So many splendid books were produced under that imprint over the years. I still can’t understand why the publishers abandoned it after the retirement of the legendary editor, Elizabeth Walter. She had an eye for talent, and clearly she took to Mann’s elegant prose style. The setting is Edinburgh, and a middle-class world where well-off people pursue charitable activities in their leisure time, before the cosy status quo is shattered by a sudden death, and a sequence of poison pen letters. The narrator is a young woman who has been conducting an affair with the deceased’s husband, and Mann examines the tension s beneath the surface calm with some accomplishment. The narrative is far from orthodox, but it never sinks into self-indulgence. The main focus is on the lives of the female characters, rather than on detection, but in the end, the mystery is rather neatly unravelled. At the time, naturally, Mann was feeling her way as a crime writer, but the assurance of her debut promised good things to come, a promise on which, in the intervening years, she has delivered. I’ve quizzed Jessica Mann about the background to this book, and to my delight she has agreed to write a post for this blog which will say a bit more about it. Watch this space! A very hasty week-end post to mention two enterprises by fellow bloggers that you might like to check out. First, Candied Crime, by Dorte H, a cosy/humorous collection. Many of you already know Dorte's work by way of her terrific blog, a blog in which a very pleasant personality always shines through. Second, Nigel Bird of the Sea Minor blog has mentioned to me that his collection Dirty Old Town is now available as an e-book. Again, it strikes me that this kind of enterprise shows the potential of new(ish) media for writers, at a time when traditional publishing isn't really in a great state. The connections that bloggers make with their readers is a source of constant fascination for me, and a shared enthusiasm for writing is one of the strongest bonds of all. So I hope Dorte, Nigel and others who are engaged on similar projects meet with success - and a good deal of enjoyment, too. In 1931, Milward Kennedy wrote the first of three books under the pseudonym of Evelyn Elder. These are rare books, but the first Elder, Murder in Black and White, has recently been reprinted by Fender Tucker’s excellent small press, Ramble House. I strongly recommend Ramble House, who have brought back at reasonable prices a host of obscure titles. This book contains, in effect, a ‘challenge to the reader’ in the Ellery Queen style, though it is not expressly described as such. The author says: ‘When teh reader has reached the end of Part Three he is in possession of all the facts needed to reach the solution of the problem. Such further facts as are introduced in Part Four (and they are virtually only two in number) are no more than confirmation of the theory which emerges from the rest of the book.’ So in a sense, Rupert Penny, whom I quoted a while back, was wrong in saying that The Talkative Policeman was the first English book to present this kind of direct challenge to the reader. The novel shows us both the best and the worst of Kennedy. He was an intelligent man and a good writer, with a flair for ingenious ideas that suited the Golden Age. But somehow, all too often, the sum of the parts does not add up to as much as it ought. The narrative is strangely constructed, with far too many characters introduced too soon, and this becomes wearisome. I didn’t care about the people as much as I should have done, given that Kennedy was better at characterisation than some of his contemporaries. And yet the idea of the book is very appealing. An architect and amateur artist, Sam Horder, takes a holiday in the south of France and becomes involved in a seemingly impossible crime. Real tennis, of which Kennedy was clearly a fan, plays a significant part in the story. Sam’s sketches are reproduced in the book – Part Two consists solely of them - and you can, if you care to do so, try to figure out the solution by studying them. He recounts the mystery to a friend, who plays armchair detective by doing just that. The sketches were actually drawn by Austin Blomfield, himself an architect and artist who went into practice with his father, an architect of distinction whose work included buildings at Lady Margaret Hall. Overall, then, a book I found frustrating yet, from a historical perspective, very interesting indeed. En route for Grasmere and the launch of The Serpent Pool, we stopped off at Carnforth, just south of the Lake District. I had in mind a trip to the very good second hand bookshop in the town, but digressed to the railway station for lunch. And this proved surprisingly memorable. This is because Carnforth Railway Station was used for the filming of the classic movie Brief Encounter. After the British rail network was stupidly decimated in the 60s, the station was left derelict, but a great charitable effort led to it having a new life. There is now a splendid museum featuring the history of the station, and the making of Brief Encounter. You can lunch, as we did, in a recreated cafeteria that is really atmospheric. Brief Encounter isn't really my favourite sort of movie, but I do think that what has been done at Carnforth is wonderful. Even though life moves on, and we must embrace the new, it's a terrible mistake to neglect the past. This humble railway station offers a real slice of British social history, and its revival is a sign of what can be done by people with imagination and drive.